MommaSaid | Wanna Rock and Roll All Night. Or Maybe After Naptime. Browse: Home / 2010 / May / 04 / Wanna Rock and Roll All Night. Or Maybe After Naptime. Wanna Rock and Roll All Night. Or Maybe After Naptime. I know that Wordless Wednesday is tomorrow, but I couldn’t wait to post this photo I took today at the Babies R Us in Union Square, New York City. Besides, I want to add some words. 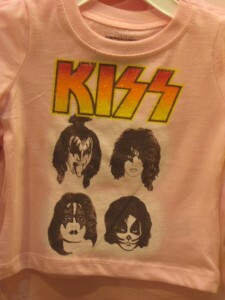 That’s right: It’s a pink KISS T-shirt for toddlers. And it makes me giggle. See, my brother, Scott, was a big KISS fan back in the day, much to my father’s chagrin. Our dad, who has stated more than once that rock and roll is to music what comic books are to literature, hated KISS and their crazy makeup, platform boots and, most of all, their same three chords over and over again. “That’s not music!” he would protest whenever Scott played “Christine Sixteen” on his record player. Also, “They can’t sing!” and some other words I can’t print here. This is a family show. To my father, who admits to sneaking out of school to go hear the jazz bands in Newark, New Jersey, back in the forties, KISS was may well have been the Fifth Horseman of the Apocalypse. But now KISS appears on a T-shirt for toddlers — pink, no less — in Babies R Us, not to mention on a web site called “Oldies.com,” where I fact-checked their albums and songs for this blog entry. 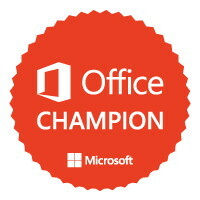 And that makes me giggle …nay, snicker. In part because Scott used to give me records for Christmas that he wanted, including, but not limited to, KISS’ “Love Gun.” But also because the very thing that had caused so much teenage and parental angst in my childhood home has been reduced to an ironic T-shirt located on the same floor as the Bugaboo strollers and the diaper pails. A T-shirt for little girls. So, thank you Babies R Us for making my day. And thank you, KISS. I hear you callin’. I really do. Where Were You on the Night of the 12th?